Banyule is proposing to introduce Amendment C124 into the Banyule Planning Scheme. Why is the Amendment needed? Council has identified various parcels of land throughout the municipality where the existing zone (the zone sets out the types of uses that may occur on that land) does not reflect the existing or intended use of the land. Many reserves and parks in Banyule are either partly or fully zoned as residential land. These parks and reserves physically look like and operate as open space, however their planning zone does not match their use. There are also properties in Banyule that are zoned as open space, yet serve a residential or education/utility public use. In addition Council has identified five properties which have a small section that is incorrectly zoned. Rezoning these sections to match the rest of the property will ensure the whole property has a single planning zone. We propose to include Amendment C124 into the Banyule Planning Scheme. The amendment rezones various parcels of land and ensures these properties have a planning zone appropriate to their use. Rezone 142 council parks and reserves that are currently used as public open space but are not zoned for this purpose. The list of addresses is available in the Explanatory Report and areas are shown in the combined maps. Rezone or partial rezone of three parcels (noted below) of council owned land zoned Public Park and Recreation Zone or Public Conservation and Resource Zone that have been proposed for sale and require rezoning to be consistent with future land use. This Council owned land is proposed to be rezoned from Public Park & Recreation Zone (PPRZ) to Neighbourhood Residential Zone 3 (NRZ3). The property includes a residential house and rezoning will ensure it is consistent with neighbouring residential properties and prepare the land for future sale. The PPRZ zone applies to the adjacent reserve at the rear of the property. 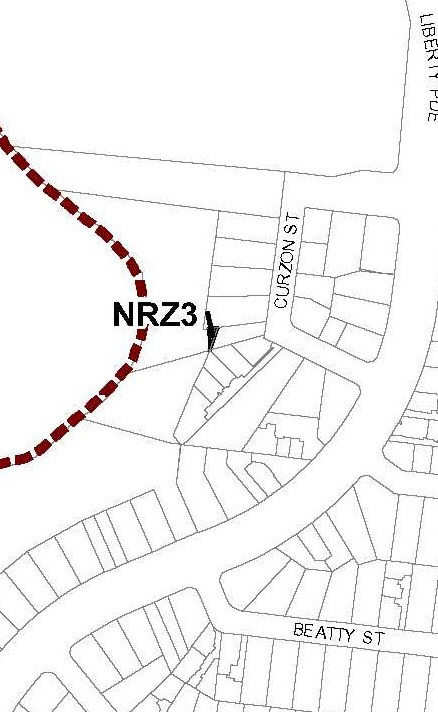 A section of this reserve is proposed to be rezoned from Public Conservation & Resource Zone (PCRZ) to Neighbourhood Residential Zone 3 (NRZ3). 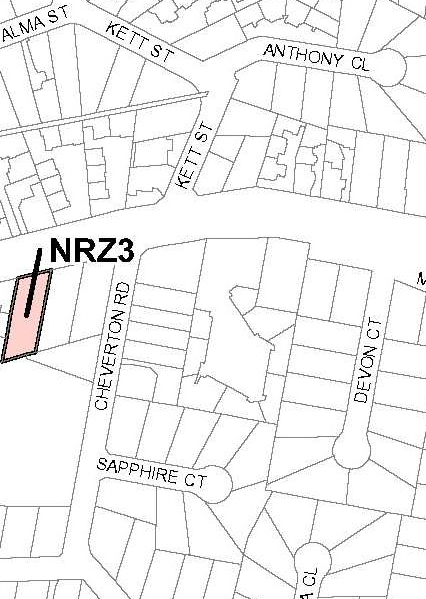 The section of this reserve is currently enclosed within a neighbour’s fence line and is not accessible to the public, rezoning will allow the sale of the land that is currently being used for residential purposes. A small section of this land is proposed to be rezoned from Public Conservation & Resource Zone (PCRZ) to Neighbourhood Residential Zone 3 (NRZ3) and a Restrictive Covenant and Recreation Purposes Reservation to be removed. The section of land is currently occupied by and licenced to a neighbouring property. Rezoning and removing the restrictive covenant and reservation status will allow the sale of the land which is currently being used for residential purposes. The Restrictive Covenant and Recreation Purposes Reservation applies to the large parcel of Council owned land (known as 1 Liberty Parade, Ivanhoe) adjoining Darebin Creek at the rear of Curzon Street and Liberty Parade properties. The Covenant restricts the use of the land to a recreation reserve. A copy of the Restrictive Covenant, the Plan of Subdivision PS630027Q and the Proposed Plan of Subdivision PS813368T are available under the document library. 3. 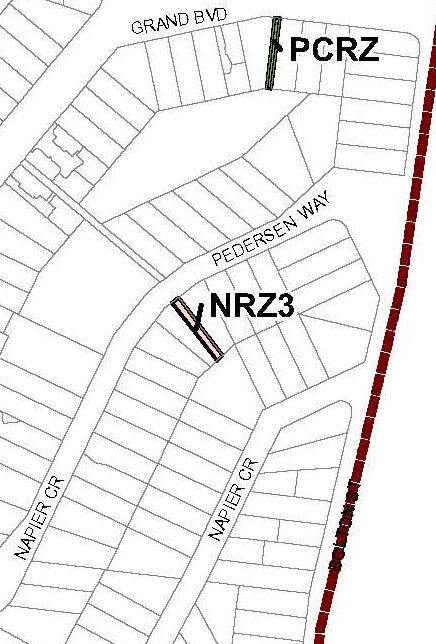 Partial rezone of five properties so they have one planning zone for the entire property. These properties have been included in the Amendment as they adjoin a Council reserve and have been identified as having small sections of land incorrectly zoned. 5. Rezone three parcels incorrectly zoned public open space to ensure zoning is correct and consistent with use. Submissions have now closed. Thank you to those who made submissions. If your submission cannot be resolved, the amendment may be referred to an independent panel appointed by the Minister for Planning. Council must make available for inspection a copy of any submissions made. Council may also provide copies of submissions to other parties for the purpose of consideration as part of the planning process. Name and contact details of submitters are required for Council to consider submissions and to notify such persons of the opportunity to attend Council meetings and any panel hearing held to consider submissions. provide for commercial uses where appropriate. provide for appropriate resource based uses. What is the Banyule Planning Scheme? The Banyule Planning Scheme sets out the way land can be used and developed in Banyule through various planning controls including zoning land for different uses. What is a planning scheme amendment? A planning scheme amendment makes a change to the planning scheme. A planning scheme amendment is a lengthy process that must follow statutory procedures. How do planning zones work? Planning zones indicate the primary character of the land, for example if it is residential, industrial, rural or public use. Planning zones also determine the types of uses that may occur in that zone. Why is only a section of the land being rezoned for some reserves? For some reserves the majority of the land is correctly zoned and only a small section is incorrectly zoned. This amendment proposes to rezone the small section to be consistent with the rest of the reserve. For example, Telfer Reserve at 20 Noorong Avenue, Bundoora is shown on the map below. The small hatched section is currently zoned residential and is proposed to be rezoned to public open space. Note that on the amendment maps, only the sections being rezoned are shown. Approval to commence C124 was given at the Council meeting. We will consider all submissions and determine how to proceed. Report to Council on public submissions. If submissions are unresolved Council requests Minister to appoint independent panel to review and hear submissions. Independent panel considers the amendment and all submissions and makes recommendations. Council considers the panel report and adoption of the Amendment. If Council chooses to adopt the amendment, the next step is to request approval from the Minister for Planning. If approved it will be included in the Banyule Planning Scheme.